To see more things to do, maps, reviews, and more tourist information, go to the San Juan travel route planner. New York City, USA to San Juan is an approximately 8.5-hour combination of bus and flight. You can also do a combination of flight and car; or do a combination of train and flight. The time zone changes from Eastern Standard Time to Atlantic Standard Time, which is usually a 1 hour difference. When traveling from New York City in May, plan for somewhat warmer days in San Juan, with highs around 88°F, while nights are much hotter with lows around 76°F. You will leave for Culebra on the 7th (Mon). 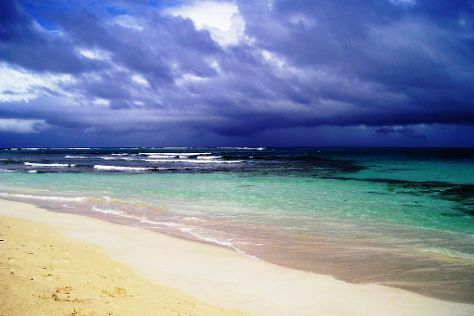 Start off your visit on the 7th (Mon): kick back and relax at Flamenco Beach. For maps, where to stay, traveler tips, and tourist information, read our Culebra driving holiday planner . Culebra is just a stone's throw from San Juan. In May, daytime highs in Culebra are 86°F, while nighttime lows are 76°F. Finish your sightseeing early on the 7th (Mon) so you can travel back home.